The wind is blowing in favor of Riviera Nayarit, a destination with high-end infrastructure that is ideal for the practice of nautical sports, as well as luxury and adventure tourism. Proof of this is the Mini Kiteboard World Cup, a kitesurfing competition that will assemble the best international competitors of this sport when it takes place on the waters in front of the Hard Rock Hotel Vallarta next May 9 - 12. Sean Farley from Colima and ex world champion of the specialty, will be in Riviera Nayarit to recieve –unaffortunately not to compete- a large number of world-class participants from the United States, Canada, France and approximately 20 other countries. Kitesurfing is a dynamic, young, athletic, and appealing sport. Riders mount a surfboard that is powered by a kite, a combination that allows athletes to attain high speeds on the water and make spectacular leaps. The wind currents in Riviera Nayarit, and mainly in Bucerias, are regarded by kitesurfers as some of the best in the world. Additionally, the surf in the area has the ideal characteristics for athletes to show their abilities. These natural settings remain mostly consistent throughout the year, and are only vary slightly during the rainy season. Three world-class marinas, technicians ready to take care of the specialized equipment this sport demands, first-class hotels and touristic services, and amazing natural settings make Riviera Nayarit the preferred destination for lovers of this sport. The Convention and Visitors Bureau (CVB) of Riviera Nayarit celebrates the organization of competitions such as this one in our destination, as they contribute to attract high-quality tourism that has a low environmental impact. High performance sports are a key niche to achieve this goal, as they deal with people who are strongly focused on achieving goals, and who also have purchasing power and a well developed environmental culture. By supporting events like the Wind Festival 2011, we’re able to attract the desired tourist type, and also to offer conditions to support the promotion of our destination, as these sports have many followers who are eager to learn the latest news, and media are therefore interested in covering the events, a formula that greatly helps to position our destination. Enjoy the show that these riders offer in the bay. We recommend to visit Hard Rock Hotel from 1:00 pm till 5:00 pm because it is the right moment for the riders to get good winds. Entrance will be allowed for free trough the gardens of the hotel. 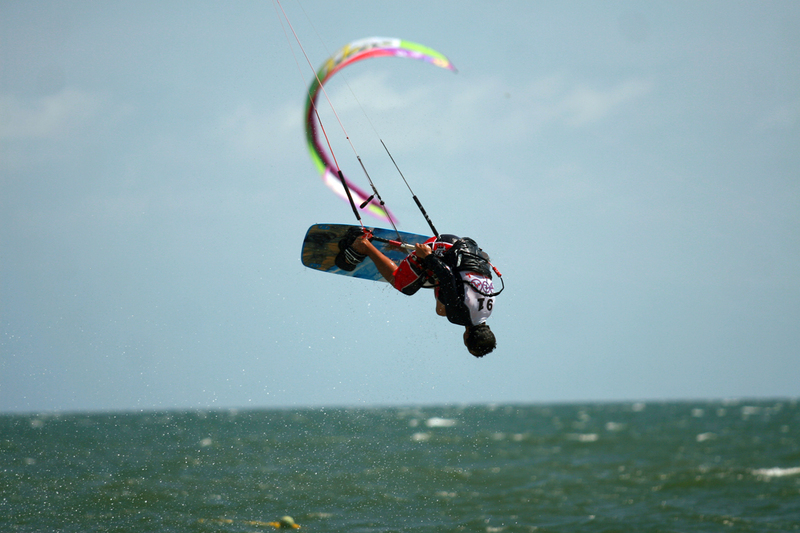 Learn to kitesurf with the half hour classes that will be taught no-charge on an special area.